Asian Books Blog is based in Singapore. Lion City Lit explores what’s going on in the City-State, lit-wise. 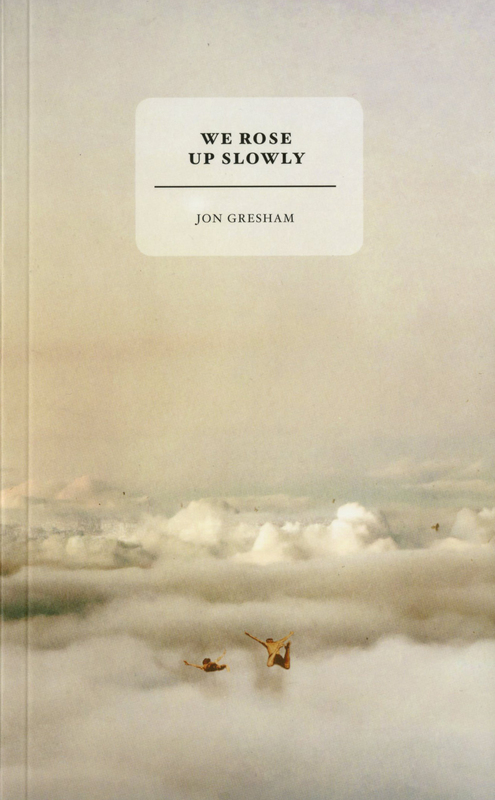 Here Jon Gresham talks about We Rose Up Slowly, his debut collection of short stories, published by Math Paper Press, a local publishing house dedicated to promoting poetry and literary fiction. It is run by the same people who run BooksActually, an independent book shop which is well-known in Singapore. We Rose Up Slowly includes stories set in Singapore, Australia, and Jakarta; each one explores issues of escape and belonging in contemporary life. As his or her world falls apart, each protagonist has to confront the gap between messy reality and romantic idealism; each one is looking for an escape, and knows that nothing will be the same again. "We Rose Up Slowly, is a cornucopia, a mash up, a mongrel. This reflects my own hybrid origins, identity and experience living in Singapore. I am a Eurasian, born in Manchester, England. The adopted son of a passing union between a British schoolteacher and a Chinese student. I emigrated to Adelaide when I was a child, worked in Sydney and left Australia in 1999 to work on corporate restructurings in Thailand in the aftermath of the Asian economic crisis. I moved to Singapore in 2002 and didn’t have much time for writing for many years. But then in 2010 I walked into BooksActually, and saw a copy of Ceriph: Issue Zero. Ceriph was new to me, but it turned out to be a literary journal based in Singapore promoting local writers, designers, illustrators and photographers. I quickly learned it provided an opportunity for experimentation – for example encouraging collaboration between writers and artists. A number of contributors have gone on to success, including one of the current editors, Amanda Lee Koe, winner of the Singapore Literature Prize 2014, for her short story collection, Ministry of Moral Panic. I decided to submit a story written way back in 1997, called We Rose Up Slowly. Much to my surprise, it was accepted for publication and that success led, eventually, to my debut collection. The rest of the stories in We Rose Up Slowly were written after 2010, with five of them published in Singaporean anthologies and literary magazines. My stories re-imagine, variously: the tragic collision between a Ferrari and a taxi at the intersection of Rochor and Victoria Roads; the last days of a famous patriarchal clown from the Tai Thean Kew Circus; time spent thinking about what to do next at The Sail at Marina Bay; the lives of domestic workers and their privileged, expatriate employers. These stories play with: the problems caused by encroaching development as deer, boars, monkeys and other wild creatures leave the jungle and enter the urban areas of Singapore; the controversy over the major highway construction at Bukit Brown cemetery; the gnawing regret of writers who leave the country of their birth in search of a better life elsewhere. I was inspired to write the stories in We Rose Up Slowly by topical events and issues in Singapore. The episodes and concerns of the last five years touched on in the book highlight the view that Singaporeans are on the edge of possibility as old narratives and certainties give way to opportunity, to a new discontent, and to a sense of creeping chaos as people and places change and change again. The thematic context for We Rose Up Slowly is provided by: the death of Singapore’s first Prime Minister, Lee Kuan Yew; the increasing gap between rich and poor; the impact of climate change; the growing assertiveness of China with its huge debt and economic problems; the rise of nationalism; concerns about migration, the ageing population, and high levels of personal debt. There is a sense that from a Singaporean political and cultural perspective we are at an inflexion point, on the cusp of a new era, facing greater challenges as many post-independence assumptions no longer hold sway. I have made Singapore my home and I care about the place. I wanted to explore that sensibility, so I wrote these stories." Details: We Rose Up Slowly is published in paperback by Math Paper Press, priced in SDG (SGD22). It is available here.